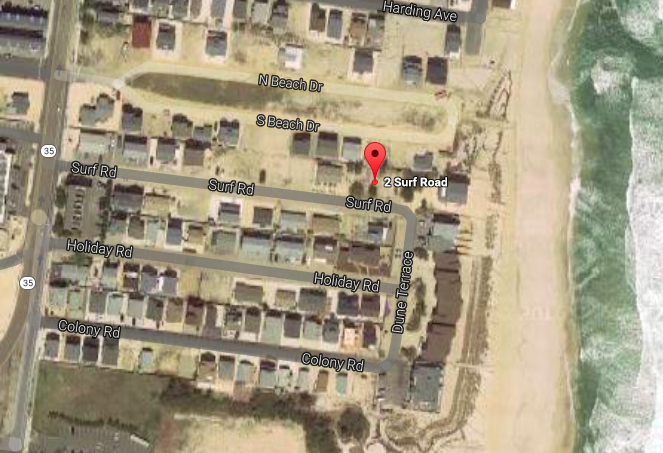 Toms River land use officials will consider an application in November to subdivide a plot of land near the oceanfront in Ortley Beach into two lots. The plot of land where the subdivision is proposed is located at 2 Surf Road, located in the Surf Cottages community in the southerly section of Ortley Beach, adjacent to Vision Beach. According to an application pending before the Toms River Township planning board, the owner of the lot is seeking minor subdivision approval for the creation of two residential lots at the site. The applicant is also seeking variance relief from the minimum lot area requirement of 4,000 square feet, where 3,000 is proposed for one lot and 3,630 for the other. Relief is also being sought for the lot depth requirement of 100 feet, with 60 feet proposed for both new lots. The hearing will take place Nov. 2 at 6 p.m. at the township municipal complex, 33 Washington Street.